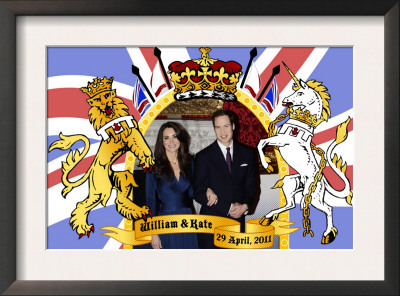 Collectors of royal memorabilia are almost as giddy as those who are watching the new royal baby in general. 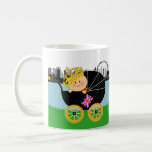 Now that he’s here -- George Alexander Louis, Prince of Cambridge -- the interest can go nowhere but up in mugs, tea towels, spoons, plates and other items produced to commemorate the newest royal. The art for many of the souvenirs is appropriately charming, with pink and blue elements early on, before the gender of the child was known. This little boy’s birth is as big as the wedding, even before his arrival on July 22. 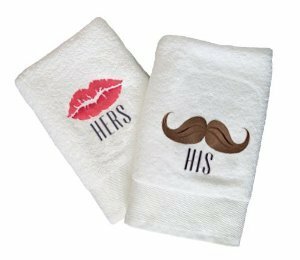 The British are big on tea towels (what we in the US would call a dish towel). And mugs are popular because they are common for tea. Souvenirs are meant to be used, as well as looked at. Or you can do what many do, and get duplicates. Savvy collectors often get some to use and some to keep pristine for display only. And they’ll want to have items from before the birth, that reflect unknown gender, as well as those boy items that flood the market now that Prince George is here. 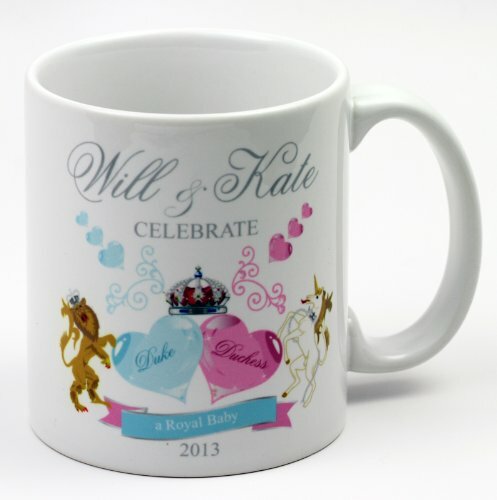 The royal birth is just the start of a long line of collectibles that will be associated with this child’s life, including his christening, birthdays, wedding, and anniversaries – any date that we celebrate for our own families, except with a royal twist. Boy or girl, this child will rule. William and Kate’s son will be known as Prince of Cambridge, and heir to the throne. Primogeniture rules, which gave preference to boys and skipped girls, grew out of centuries of Norman tradition. 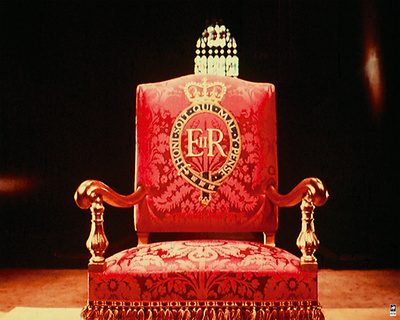 That's been changed for the royal succession, to fit better with modern ideas. Britain’s Act of Succession was amended in the fall of 2011, to allow for a child of either gender to succeed to the throne. 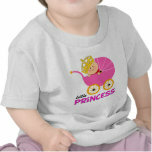 Had this child been a girl, she would have been third in line to the throne as well, just as Prince George is. Future daughters of William and Kate won’t be sidestepped when it comes to succession. Elizabeth had no brothers, so she became Queen. Her daughter Anne, Princess Royal, has three brothers and a number of nephews and nieces. She is much farther down the line of succession than she would have been had the change been made before her birth in 1950. Future monarch, already making history – just a few more reasons why the collectible market for goods related to this child can only increase in interest as the years go by. The press had staked out St. Mary’s Hospital, London, weeks in advance. Photographers had their ladders in place. Media attention for this child is just getting started, as is collector attention. 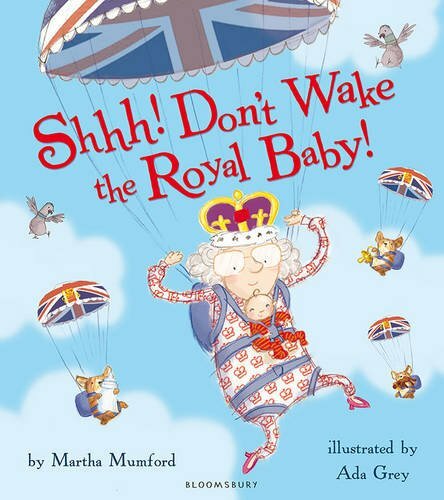 The new little prince was born at the same private hospital where Prince William was born in 1982, the Lindo Wing of St. Mary’s Hospital, London. 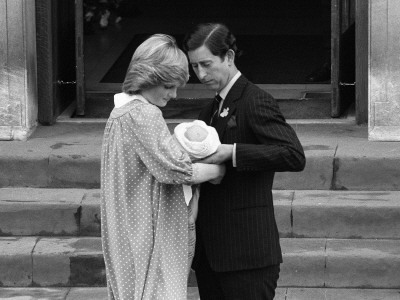 When William and Kate took baby George home, they walked out the same door used when Charles and Diana took William home, when he was the new royal heir. Meanwhile, the public and betting venues are busy betting on everything related to this birth. Money has been bet on the date, and they’re wagering on names, too. George, Philip and Charles were top of the boy names list, and those who picked George got a winning ticket! Since it’s a boy, the royal couple can easily sidestep any issues about including Diana in the name for this boy who is third in line to the throne. Uncle Harry takes a step back. The top collectible could easily be the silver coins given to new babies born on July 22, 2013 – the same day as the new prince. A hard to get item, with a limit supply of only 2,013 pieces. These coins will only be given to babies born in the UK, and their parents will have to register their child’s birth certificate with the Royal Mint in order to receive a complementary coin. Do You Collect Royal Souvenirs? kimbesa, Does the number of pieces match the birth year? So it should have been 2,015 for Princess Charlotte's birth. Thanks! Took a while to come up with the elements that were appropriately "royal". This little prince is going to have the "Kate effect," like his mother I think! 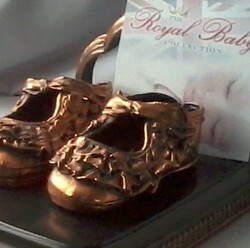 Perhaps Prince George's baby shoes will be preserved and gilded, instead of merely bronzed! If they do that in the palace, they're at least bronzed, if not gilt. I don't collect them but I know they are quite popular. I'm anxious to watch the news about the new baby. Such a beautiful couple will have beautiful children for sure. Love those bronzed baby shoes in the intro photo. 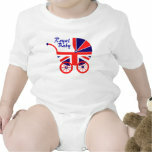 Yes, there are those that fit a sweet baby style, and others that are very British. 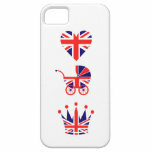 The Royal baby dish towel looks lovely, love the royal collectibles. They certainly will look awesome for decor.